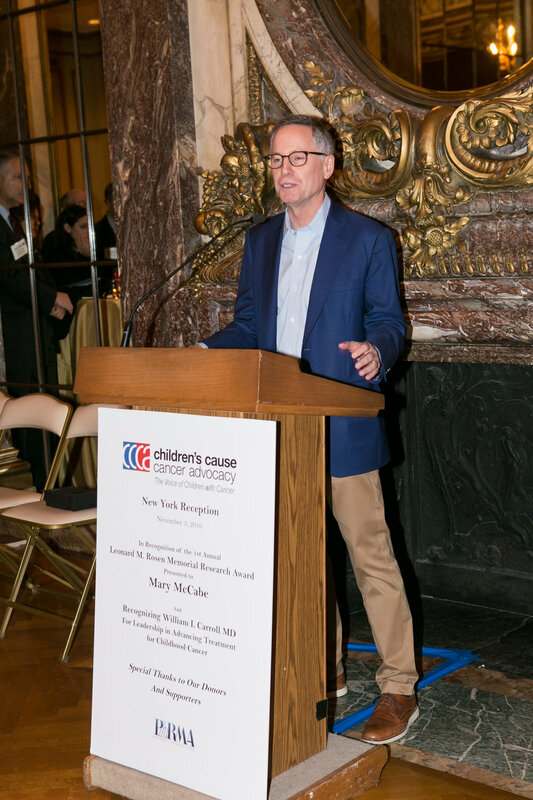 The Children's Cause for Cancer Advocacy was pleased to present the first Leonard M. Rosen Memorial Research Award to Mary McCabe earlier this month at our annual cocktail reception in New York City. Ms. McCabe is the Director of the Cancer Survivorship Initiative at Memorial Sloan-Kettering Cancer Center. The Award honors CCCA chairman and founding member Leonard Rosen and his many years of service on the board of directors. Leonard was the proud grandfather of a child treated successfully for rhabdomyosarcoma. He was a brilliant and astute advocate who worked to advance research and regulations that could improve the effectiveness of childhood cancer therapies. 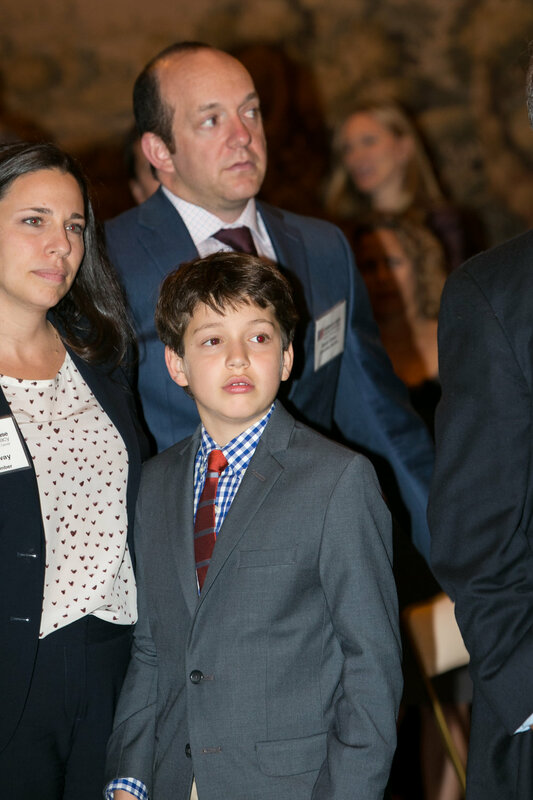 In tribute to his legacy, the Award is granted annually to an individual who has made an outstanding contribution to childhood cancer policy and advocacy, recognizing the importance and unique challenges associated with the care and treatment of children with cancer. 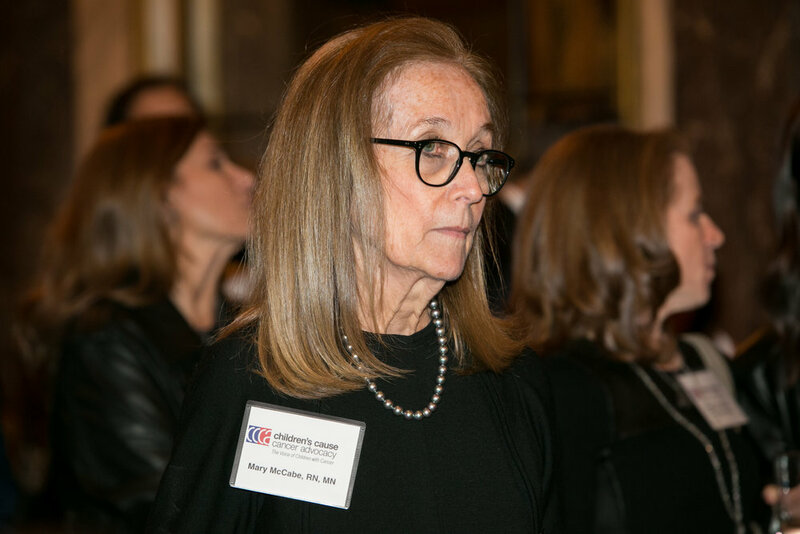 Mary McCabe is widely recognized as a leader in cancer survivorship with the development of comprehensive programs for cancer survivors, which includes follow-up care, research, and education and training. An oncology nurse, she previously served as Director of Education and Special Initiatives at the National Cancer Institute and chairs Memorial Sloan Kettering's Ethics Committee. In acknowledgment of the Award, Ms. McCabe will initiative a guest lectureship at MSK to focus on the ethics issues related to the development of new therapies for children including the issue of informed consent and specimen banks, novel clinical trial design, and how best to include children in the hoped-for benefits in targeted therapies. 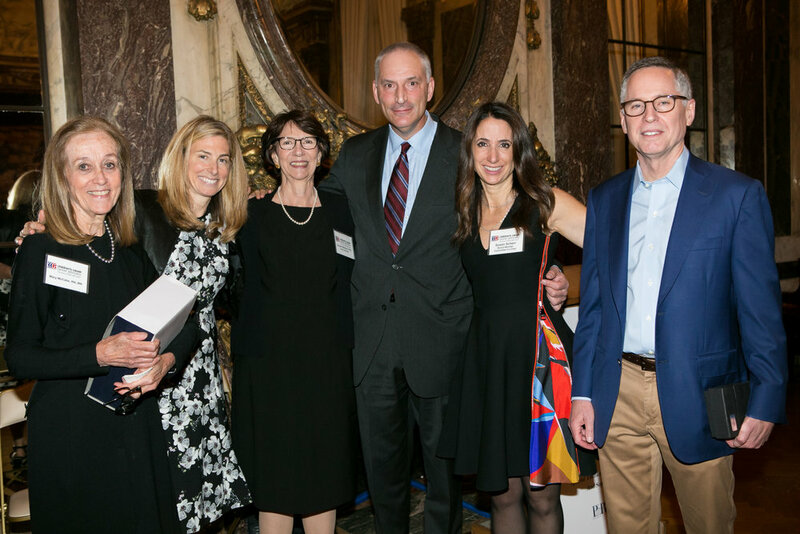 "The CCCA Board is particularly gratified to present Mary with this, the first annual Rosen Award, in recognition of her long-standing contributions, passion and dedication to the needs of pediatric cancer patients, families and survivors," said Susan Weiner, Chair and Founder of CCCA. "We feel confident that her stature and achievements will set an exemplary precedent for this Award in the years to come." 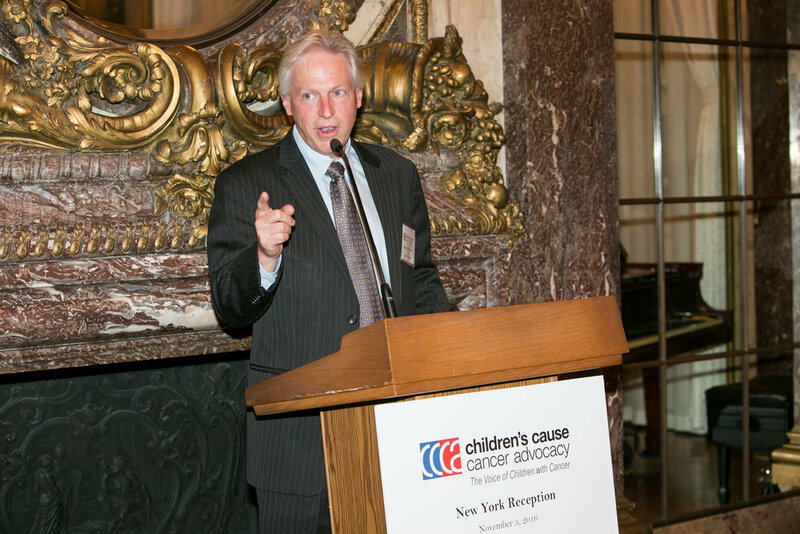 In addition to Ms. McCabe's acceptance of the Award, attendees also heard from Dr. William L. Carroll of the Hassenfeld Children's Center for Cancer and Blood Disorders at NYU Lagone Medical Center, on the future of childhood cancer treatment. 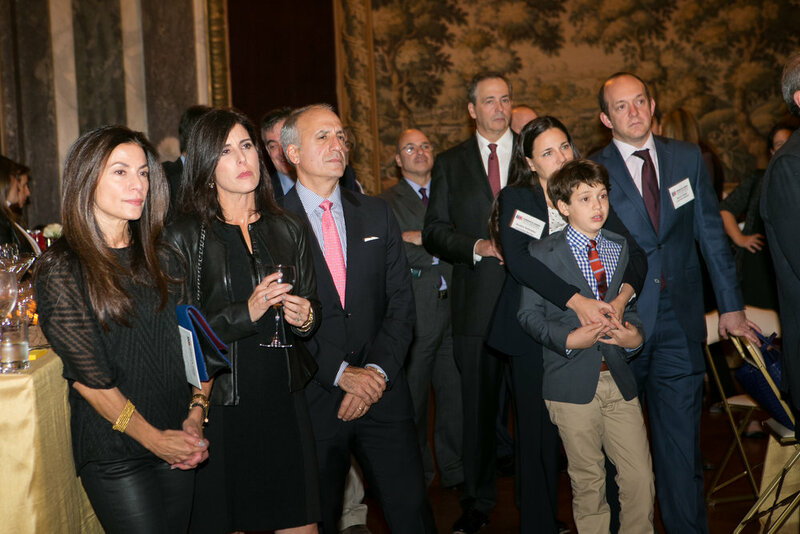 We are so grateful to everyone who supported this year's event, which helps make our year-round advocacy work possible. We'd like to give special thanks to the Event Committee, especially event co-chairs Susan and Stephen Scherr and Lynn Bayard, and the many dedicated vendors and auction item donors for their generosity. We also thank the evening's sponsors: PhRMA, Biotechnology Innovation Organization, Fennec Pharmaceuticals, Juno Therapeutics, Novartis Oncology, and Pfizer Oncology.